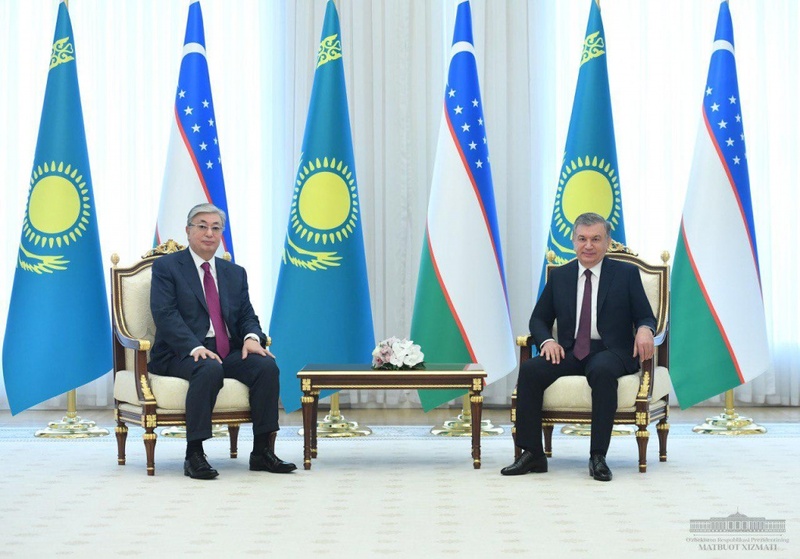 At the invitation of President of the Republic of Uzbekistan Shavkat Mirziyoyev, President of the Republic of Kazakhstan Kassym-Jomart Tokayev arrived in Uzbekistan on April 14 on a state visit. The high-ranking guest has been met today, on April 15, at Kuksaroy country residence with an official ceremony. Following the formal procedure, the heads of state held talks in a contracted format.